Dr. James Parrish was a founding member of Mid Louisiana Surgical Specialists in 2003. He graduated from Louisiana State University School of Medicine in New Orleans and completed his surgical training at the LSU Medical Center. 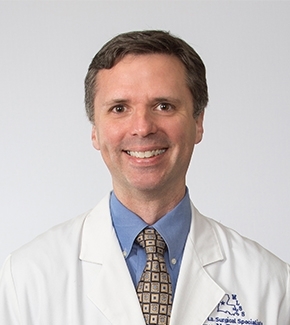 In addition to general surgery, Dr. Parrish also specializes in bariatric surgery, and he has over 18 years of experience with minimally invasive abdominal surgery. Dr. Parrish is board certified by the American Board of Surgery, a fellow of the American College of Surgeons, and a member of the American Society for Metabolic and Bariatric Surgery. Dr. Parrish has served in multiple leadership roles including President of the Rapides Parish Medical Society, Medical Director of Bariatric Surgery at Christus St. Francis Cabrini Hospital and Central Louisiana Surgical Hospital, and President of the Louisiana Chapter of American Society for Metabolic and Bariatric Surgery. 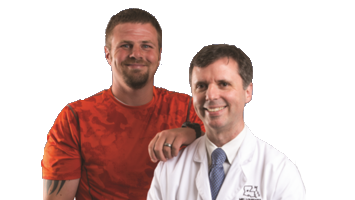 Though Dr. Parrish is a general surgeon and can provide a number of surgeries, he specializes in bariatric surgery. He has over 18 years of experience with this surgery that is minimally invasive for the patient. Mid Louisiana Surgical Specialists. 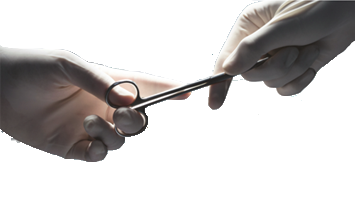 Founded in 2003, is a surgical group that is committed to providing the best patient care. Dr. Parrish is a Founding Member. American Society For Metabolic and Bariatric Surgery. This society works to provide the most innovative, less invasive and best practices for metabolic and bariatric surgery. Southeastern Surgical Congress. Providing continuing education and information on the laws and guidelines for surgeons throughout the country. Rapides Parrish Medical Society. The society provides a wide range of tools, products, and solutions to help medical professionals operate efficiently and effectively. President of the Medical Executive Committee for Dubuis Hospital. President of the Medical Executive Committee for Central Louisiana Surgical Hospital. American College of Surgeons Commission on Cancer. Providing innovative care solutions for those patients that need cancer care from a surgical professional. Society of American Gastrointestinal and Endoscopic Surgeons. A society committed to providing quality care to those patients and continuing education with new products and services for those that need gastrointestinal and endoscopic surgeries.